A DIY car repair is often easier than you think. Unless you’re a trained car mechanic, auto repair can be daunting. Unfortunately, taking your car into a shop for repair can be expensive. Fortunately, there are a handful of do-it-yourself car repairs that are much easier than they sound. Of course, your local car mechanic might not tell you that. But we will. Following are six car repairs that can save you hundreds of dollars. Brakes are pretty important. But too many of us neglect changing the brake pads until our lives are literally on the line. Don’t let money stop you from doing this repair, said Richard Reina, a car expert and enthusiast with 30 years of experience and product training director at CARiD.com, an online car parts source. 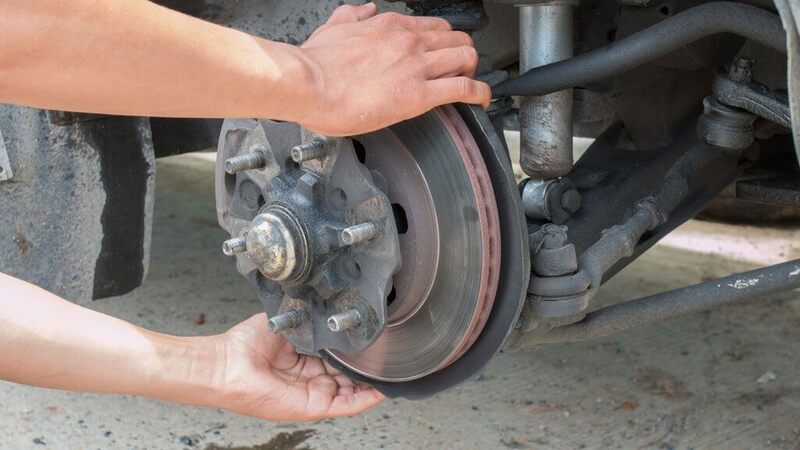 “Changing your own brake pads is a very simple and inexpensive procedure that mechanics and specialty brake shops will charge hundreds of dollars to do,” Reina said. “The industry wants you to think it’s hard, because they make a lot of profit from a very simple procedure.” Dealers routinely charge $250 per pair, he added. The average lifespan of front brakes is 30,000 to 50,000 miles, varying widely due to driving conditions and style, Reina said. “You should check pad thickness every 10,000 miles. Make sure to change pads before they do ‘metal to metal’ and cause damage to rotors,” he said. New pads are about 10 millimeters thick, he said, and so you should not let yours drop below 3 millimeters thick. A set of brake pads costs $20 to $40, depending on car and pad material, Reina said. “All you need to change them is a wheel lug wrench, some basic wrenches, pliers, and a jack and set of jack stands. Jack the car up, pull off the tire as if you are changing it, and it exposes the pads. They are a snap to unbolt and replace. You put the key into the ignition, and nothing happens. It’s a sinking feeling just about every car owner knows, and it typically signals a dead battery. But it doesn’t have to sink your budget too, said Reina. “Changing your battery is the easiest of all DIY repairs,” he said. Reina said most batteries will have a replace date stamped on them, with the average battery lifespan running four to six years. “Do not wait until you start having problems,” he said. 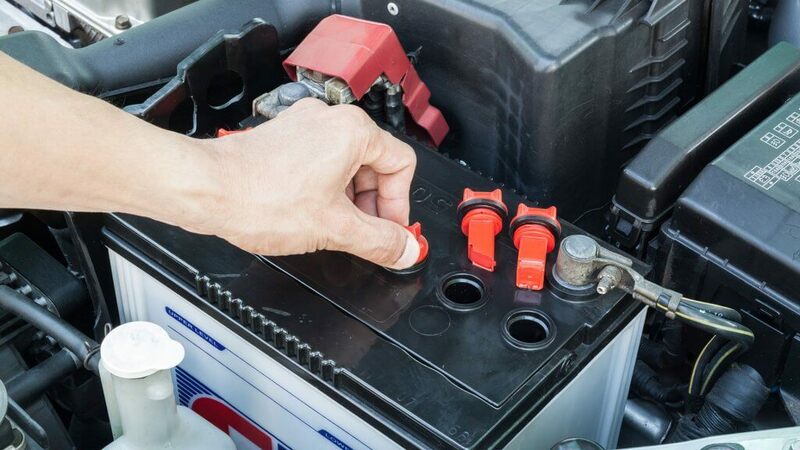 “As preventative maintenance, replace your battery yourself every four years.” He said warehouse stores such as Costco or Sam’s Club sell batteries for around $80 and are good places to get a deal. A basic set of wrenches is all you need for the replacement. However, to stay safe it’s important to remove and replace the cables in the proper order, Reina said. Remove the negative (black) cable first, and when you have installed the new battery, replace the negative cable last. “If you don’t do it this way, you could short-circuit the positive (red) terminal to a grounded part of the car,” he said. Nothing quite sounds as good as a quietly purring engine under the hood. Many people fear a huge tune-up bill from a mechanic. But these days, the old-fashioned tune-up is passé, since today’s engines are full of electronic controls that need little adjustment, Reina said. Many dealers want to service cars more frequently than the manufacturer recommends, he said, but performing work that is not needed costs you money for nothing. The average cost of a tune-up at a dealer will run $350, he said. Plus, a tune-up is not that tough, he said. 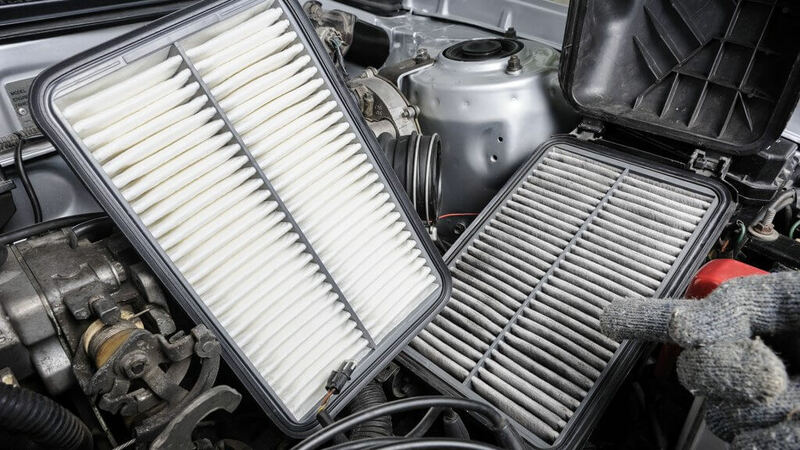 In addition to an oil and filter change, a tune-up consists of changing the air filter, fuel filter and spark plugs, which are designed to last 100,000 miles on average. You also should check all fluids. “All you need to do it yourself is a spark-plug socket and a basic wrench set,” Reina said. Instructions are easy to come by, and mainly involve no more than some elbow grease. But he did have one important note: Take caution when replacing the fuel filter, since fuel will spill. Changing an air filter is one of the simplest repairs you can do, and one that is vital to the health of your car, Reina said. It’s also a DIY car repair that can save you a bunch of money. “Replacing your air filter is a quick and simple fix that mechanics and dealerships will heavily mark up,” he said. It’s recommended to replace your filter between every 15,000 and 30,000 miles, he said. Not doing this can result in failed sensors, which can lead to larger problems, like the catalytic converter failing. That’s big money. If you ask a mechanic to replace your filter, you will likely pay $100 in labor and about $50 for the new air filter, Reina said. However, if you can buy an air filter from a retail store, the cost will be between $15 and $20. “In most cases, you’ll simply have to open up the hood of your car, unscrew and open the air-filter housing, replace the air filter, and replace the screws,” he said. All you’ll need is a screwdriver and a new filter, and you’re good to go — with clean air. Have you ever heard that brain-freezing squeal when you start your car? That is due to a worn and loose drive belt. 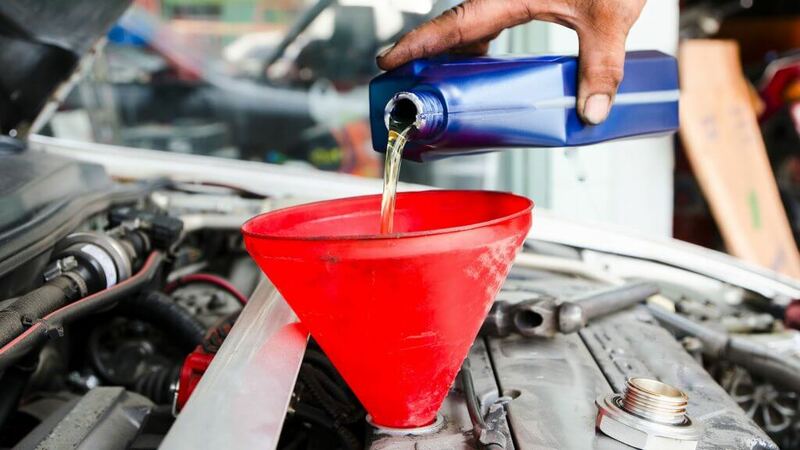 Fortunately, this is a fairly easy DIY car repair, said Alex Lloyd, head of content at Beepi, an online marketplace for buying and selling cars. You’ll need a ratchet set with sockets, wrenches, screwdrivers and gloves, Lloyd said. Older vehicles might have up to four belts, but more modern vehicles will likely have just one or two belts. So on a modern car, it will be easier to determine which belt needs replacing, he said. 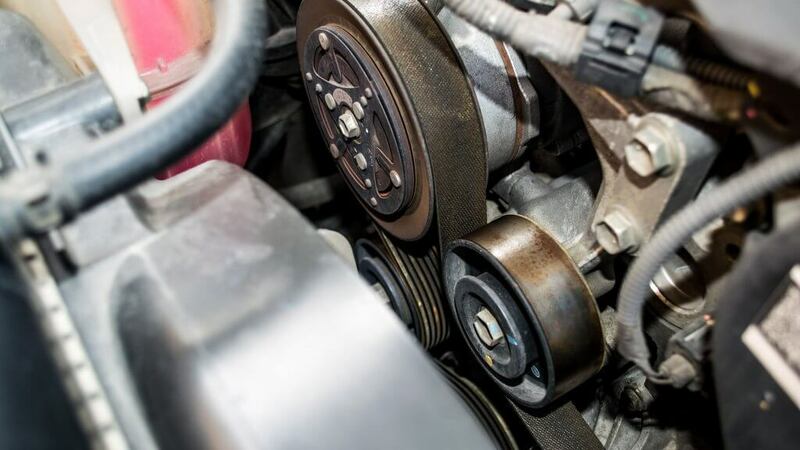 On average, a drive belt will last around three years, or 45,000 to 75,000 miles. “If you’re reasonably skilled with a wrench, replacing your own belt will save you money, and it’s more rewarding than your typical basic DIY car maintenance,” Lloyd said. In other words, your friends will be very impressed. With this repair, find the auto tensioner — which is the bolt that controls the tension of the belt — and loosen it. Remove and replace the belt. Then, tension it back up. “Sometimes, accessing the bolt can be a challenge, depending on the car,” Lloyd said. Some cars, such as the Ford Escape, require you to remove the passenger wheel with the car jacked up and access the belt through the side. Typically, the biggest hurdle to this car repair is overcoming the fact that it sounds more difficult than it is, Lloyd said. 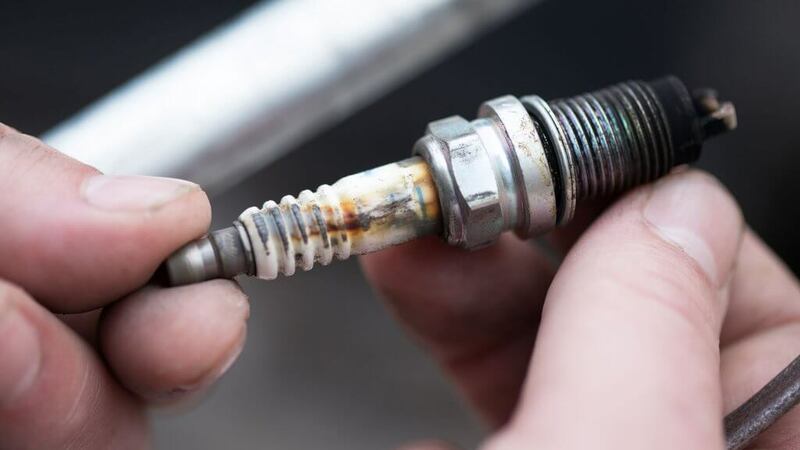 If your car is running rough or not starting, you might need new spark plugs. But don’t stress — this is an easy DIY car repair that will not cost a lot of time or money, said Andrew Jervis, founder of ClickMechanic.com, where you can book a mechanic online. First, you’ll need a few tools. Specifically, you’ll want a socket wrench with a spark-plug socket. These are longer so they will accommodate the head of the spark plug. Jervis said they’re only about $10. Finally, buy yourself a celebratory beer with all the money you’ve saved on DIY car repairs. Just don’t drive afterward. Use new car incentives and other strategies to lower your price. These online shopping hacks can help you save on everything from clothes to household items. Video: Bargain Shopping? Try Bargain Savings!